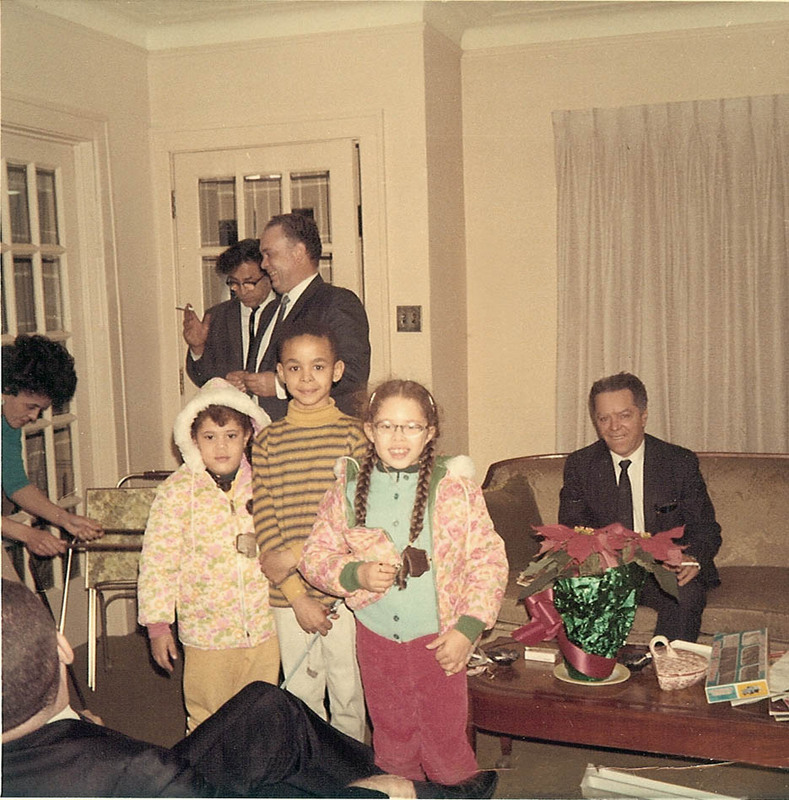 Christmas 1968 at my Grandmother Cleage’s house in Detroit. I remember Santa from my childhood but it wasn’t an important part and I don’t have any memorable memories. My cousin Anna did though and here is one of hers from our family newsletter, the Ruff Draft 1991. In the photograph above Maria is the child on the left and Anna is the child on the right. Their father, Winslow is behind them at the door smiling in profile. Anna writes, My memories aren’t all that clear, but there is one that shines bright in my mind. It was one Christmas Eve, when Maria and I were about six and eight years old. We had just tucked ourselves into bed for the night. Suddenly we heard a tinkling, jingling sound. We both looked at each other with mouths open wide and eyes sparkling with excitement. We knew it was Santa for sure. We scrambled out of bed and raced for the steps. We got to the landing, almost tumbling down the stairs in our haste, and there he was…NOT Santa Claus, but DADDY! There he was, grinning from ear to ear, holding a glass, hitting it gently with a silver spoon. If we had had our pillows we would have pelted Dad right there, but instead we just laughed hilariously. It was and still is a great memory.